It may be a bit more in terms of colour and modern traditional style. Then this traditional shirt by Krüger-Dirndl is just the thing. 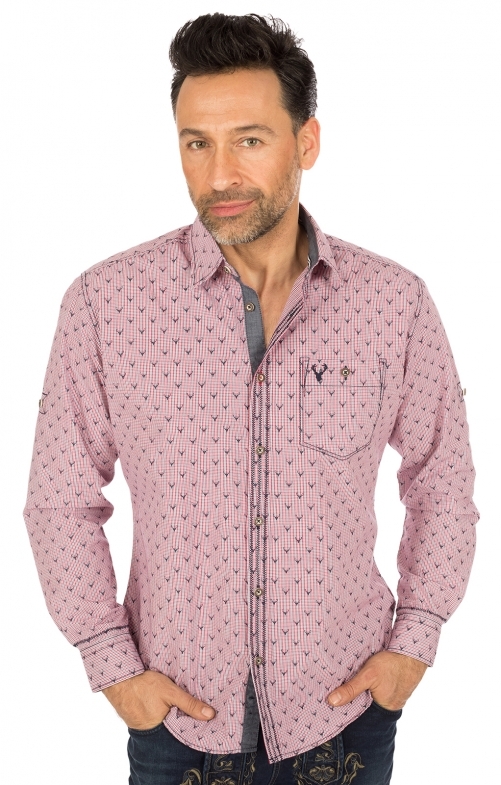 Deer antlers as a print on a small chequered red-blue with alternating embroidery on the button placket and the sleeves. The breast pocket was embroidered with a deer antler. This shirt can be worn long and rolled up and is particularly chic to modern costumes jeans.